Critically endangered Hibbertia spanantha Photo: Toelken & A.F.Rob. Hibbertia spanantha, a critically endangered plant has been found in Ku-ring-gai and now it has gained national recognition. Also known as Julian’s Hibbertia, it is a small yellow unassuming flower it has been listed on the NSW Office of the Environment website where it has been described by Toelken and A.F. Robinson. After a two year process, the Australian government has listed a new plant species found by Council staff in Ku-ring-gai bushland as ‘critically endangered’. 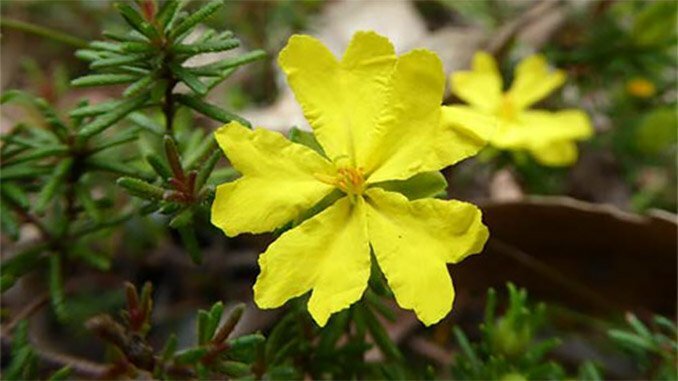 The new plant – Hibbertia spanantha – was first found in 2007 near a sports oval in Ku-ring-gai, the location of which is a closely guarded secret. The Council officer who discovered the plant worked closely with researchers from the Royal Botanic Gardens and a plant expert from the State Herbarium of South Australia to establish that it is a new native species. An application was submitted to the federal government by the Council to have the plant listed as critically endangered. After a rigorous process lasting two years official recognition was received earlier this month. The Council now plans to ensure the long term conservation of the new species through increased funding, propagation and on-ground management. Mayor Jennifer Anderson said the new plant discovery was proof that rare plants could survive in an urban setting. “It seems quite incredible that in the 21st century we are still discovering new species of plants. It means there could be others out there waiting to be found,” she said.